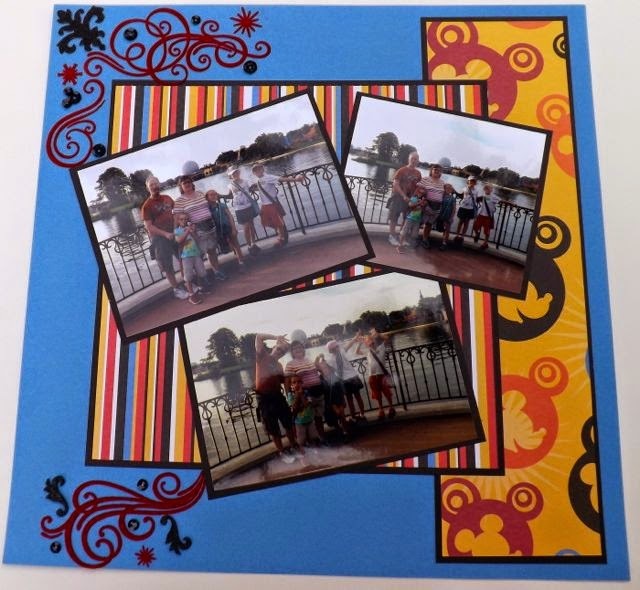 Scrappy Therapy: Family photo at Epcot! I had a lot of fun with this page! It started with just the left page and finished it without the embellishments and it was just kind of blah. I wanted black sparkle flourishes I thought I had in my stash, and couldn't find them! I came across the Velvet Christmas rub ons (retired) and new minus the Christmasy ones they would be perfect! I applied them and added some black sequins and glitter flourishes from the Mini Medley Accents Black Collection and it was done! I love mixing the old stash with the new! The right page was to coordinate paper wise and the strip of Mickey paper brought the two pages together! 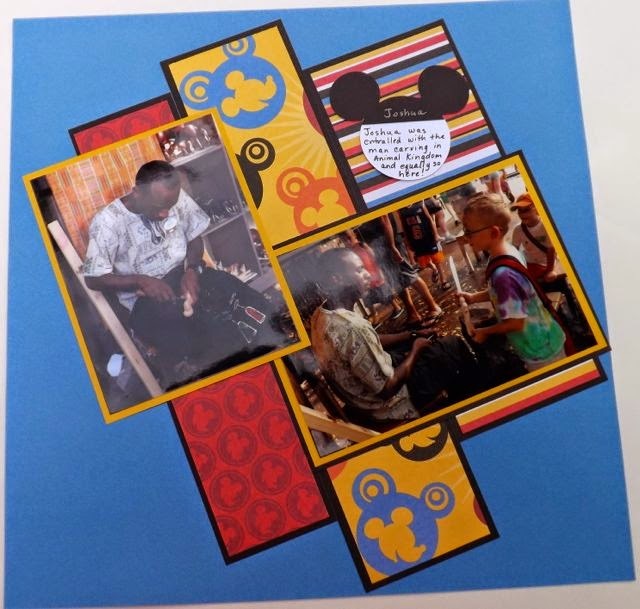 I cut two Mickey heads, one black and one white! To make the hat I just cut off the bottom of the black Mickey head and used the white part for journaling! I used Honey, Black and Indian Corn Blue for the cardstock! My sweet Joshua love the men that her saw craving both times! He was just entranced! This man let him hold what he was carving and talked with him about it! It was really neat to watch him!